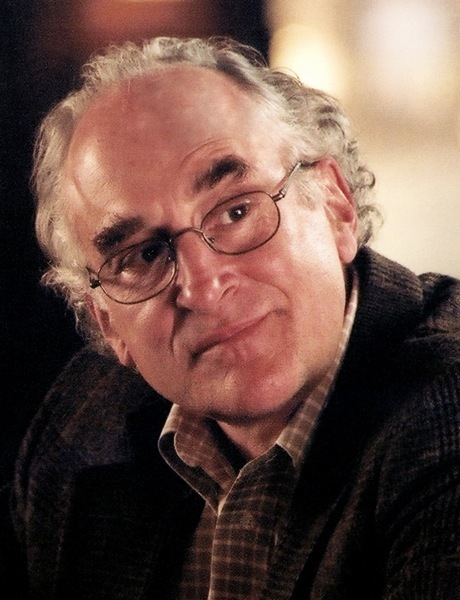 Jeffrey DeMunn is an American theatre, film and television actor. DeMunn was born in Buffalo, New York, the son of Violet (née Paulus) and James DeMunn. Stepson of noted actress Betty Lutes DeMunn. He graduated from Union College with a Bachelor of Arts in English. DeMunn has been married to Ann Sekjaer since 1974; they have two children, Heather and Kevin. He and his son Kevin worked together in the movie The Majestic. Kevin played the Western Union Clerk in the second to last scene. He moved to England in the early 1970s, receiving theatrical training at the Old Vic Theatre. When he returned to the States, he performed in a Royal Shakespeare Company production of King Lear and several off-Broadway productions, including Bent, Modigliani and A Midsummer Night's Dream. DeMunn also participated in productions of developing plays at the Eugene O'Neill Theater Center. He most recently starred in Death of a Salesman at San Diego's Old Globe Theater. He is known as a favorite of director Frank Darabont, who has cast him in all four of his films: The Shawshank Redemption, The Green Mile, The Majestic and The Mist (he also appeared in the 1988 remake of The Blob, which Darabont co-wrote). He also has an extensive television résumé, appearing in shows such as Kojak, Law & Order, and two of its spin-offs, SVU and Trial by Jury. He has been involved in more Stephen King adaptations than any other actor. He has acted in film adaptations of Rita Hayworth and Shawshank Redemption, The Green Mile, The Mist and the T.V. miniseries Storm of the Century. He also narrated the audiobooks for Dreamcatcher and The Colorado Kid. In 1995, he won a CableACE Award as Best Supporting Actor in a Movie or Miniseries for his portrayal of serial killer Andrei Chikatilo in the HBO film Citizen X and received a Primetime Emmy Award for Outstanding Supporting Actor in a Miniseries or a Movie nomination for his performance. In April 2010 he was cast as Dale Horvath in Frank Darabont's television adaptation of the comic book series The Walking Dead. Whole or part of the information contained in this card come from the Wikipedia article "Jeffrey DeMunn", licensed under CC-BY-SA full list of contributors here.